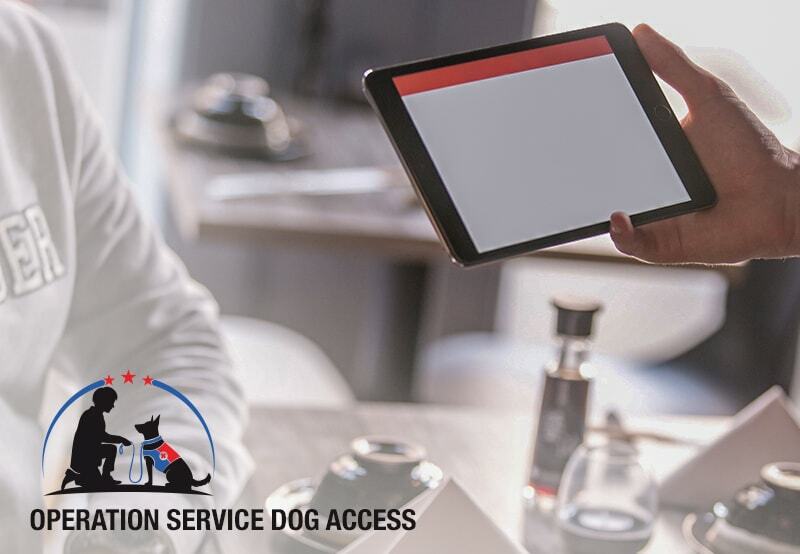 Operation Service Dog Access (OSDA) is an innovation designed to improve the social mobility of veterans with service animals who have been challenged about the validity of their service dog in public. A first-of-its-kind effort, Operation Service Dog Access assesses the veteran-service dog team against a national standard and credentials/registers the team in a national registry of credentialed service dogs. This new “gold standard” credential improves the confidence of veterans as they get on with their lives in communities, at hotels and even while flying. Veteran registration for successful applicants. In the end, stakeholders have one goal: ensure military veterans with PTS have improved well-being via access to properly trained, lifesaving service dogs and improve access to public spaces those veterans and their PTS service dogs. To learn more, visit servicedogaccess.org.